10. Cape Buffalo, it’s found in Africa and is responsible for killing more hunters on the continent than any other animal. 9. The Cone Snail is found in warm waters around the Caribbean and Hawaii near reefs and rock formations. They have harpoon like teeth that make them one of the most venomous of all snails. 8. Golden Poison Dart Frog It’s found only in South America. It’s brightly colored and it’s poison is so strong that it can kill 10 grown men with the poison of only one frog. 7. The Box Jelly Fish is found in waters off Australia and is likely the most venomous marine animal. 6. Next on the list is the Puffer Fish or blow fish. It lives all around the world especially in Japan, China and the Philipines. It’s toxins are found in the skin, muscle tissue, liver and kidneys. They must be prepared very carefully when getting ready for human consumption. 5. Black Mambo is a snake found in southern and eastern Africa. It is highly venomous and can grow up to 14′ long. 4. Salt water crocodiles are next and found in the Indo-Pacific region around India and Vietnam and all the way up to northern Australia. They can get huge, as big as 23′ long and weigh more than a ton. Their bite power can rival that of the T. Rex. 3. Tsetse Fly, a tiny creature that’s the size of a common house fly. It’s found in at least 36 countries in Africa. Their terror lies in the parasites they spread. Toxic pathogens are the cause of African Sleeping Sickness. 2. 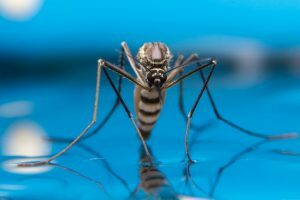 The Mosquito, it’s number 2 on the list of most deadly animals in the world. They top the list due to the sheer amounts of deaths they cause each year from pathogens they carry. There are more than 3 thousand species worldwide and cause at least 725 thousand deaths each year. Diseases they carry include Malaria, Encephalitis, Yellow Fever, Dengue Fever, West Nile virus and the Zika virus. Mosquitoes afflict 700 million people per year. More than 1/2 of the entire world population is at risk for mosquito borne diseases. Memphis is one of the areas with very high mosquito populations. 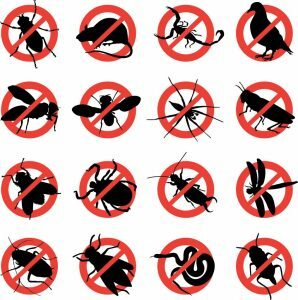 Please let Rosie’s Pest Control help keep the mosquito population under control in your area. 1. And the number one most dangerous animal is…..Humans! Deaths from war alone is somewhere between 150 million and 1 billion throughout history. It’s a no-brainer that humans are the most dangerous animal in the world.